Our three luxury Winery Suites are located above the Tasting Room. 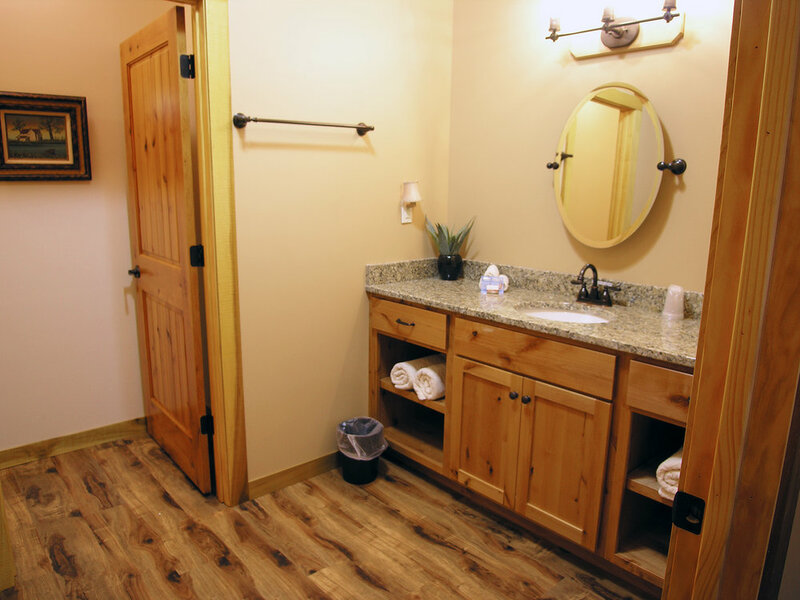 Each Suite boasts a king bed, full bath with jacuzzi tub & shower unit, and granite countertops. The living room areas feature a fireplace, flat screen satellite TV, WiFi, and a furnished kitchenette with dining table and chairs. *Taxes not included. All winery suites customers must be over 21 years of age and will receive a facility tour by appointment, tasting voucher and reserved parking. Check in after 4pm; check out before 11am. 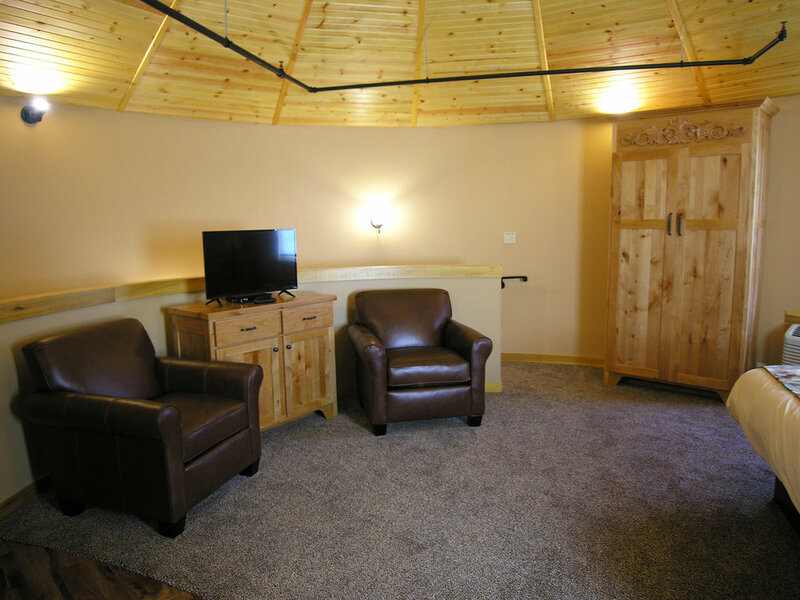 Two-story Silo Suites are attached to the Winery...and yes, the rooms are ROUND! The open upstairs bedroom with king bed, chairs, plenty of cabinet storage, WiFi, and flat screen satellite TV. 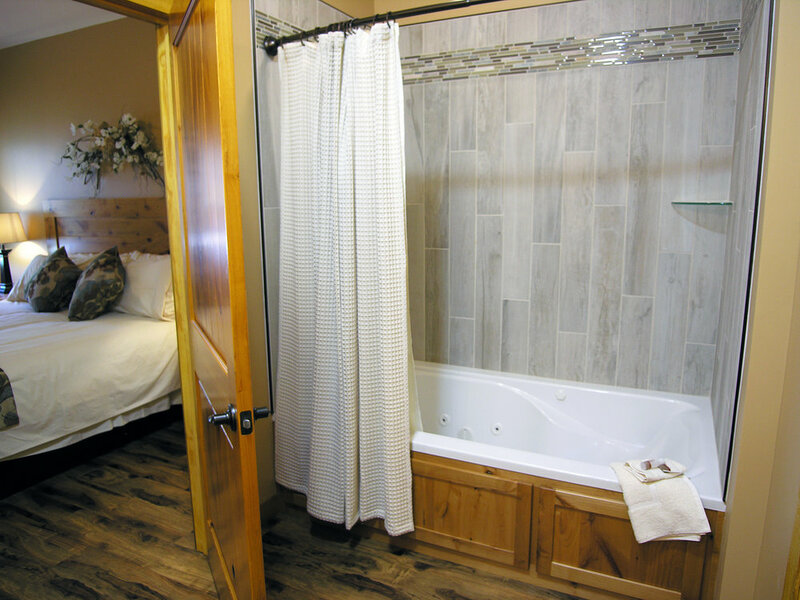 The full bath has a jacuzzi tub/shower unit, and a private water closet. 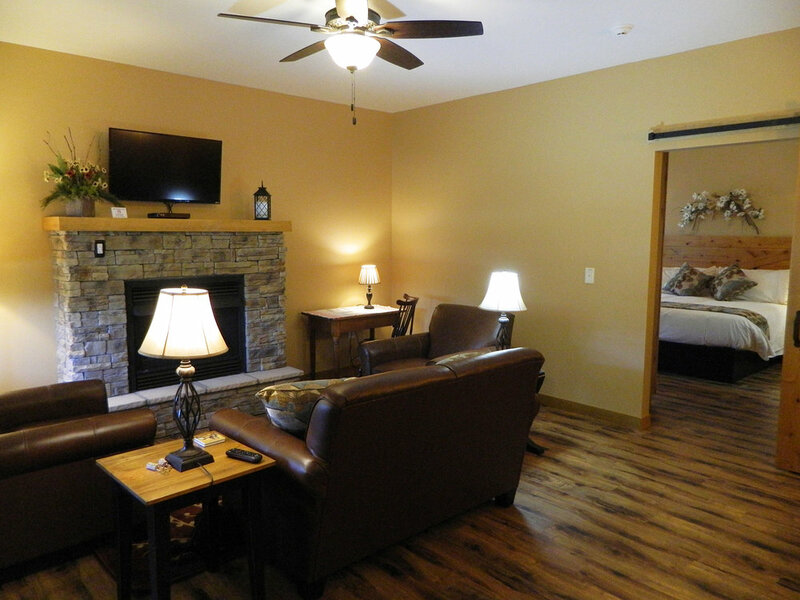 The first floor living area features a fireplace with comfortable seating and a flat screen TV. 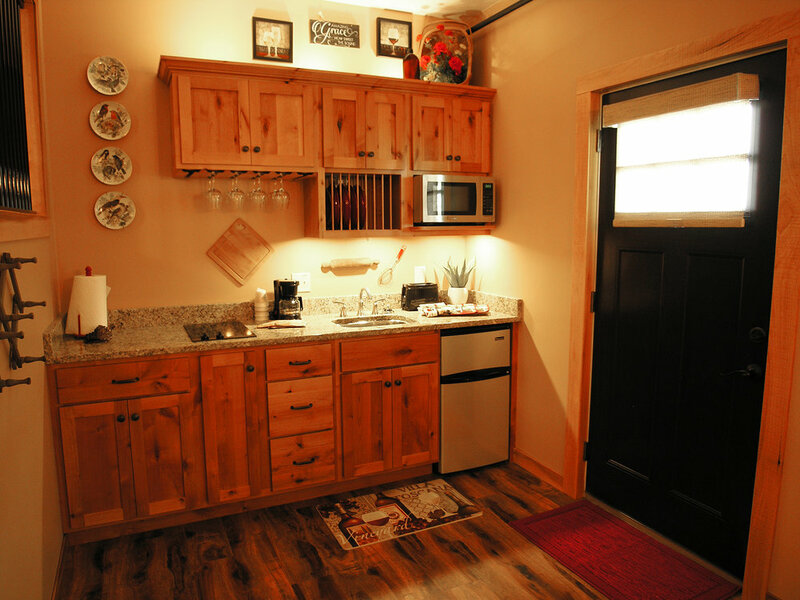 Tables and chairs accompany the furnished kitchenette. A convenient half bath is also located on the first floor of the suite. 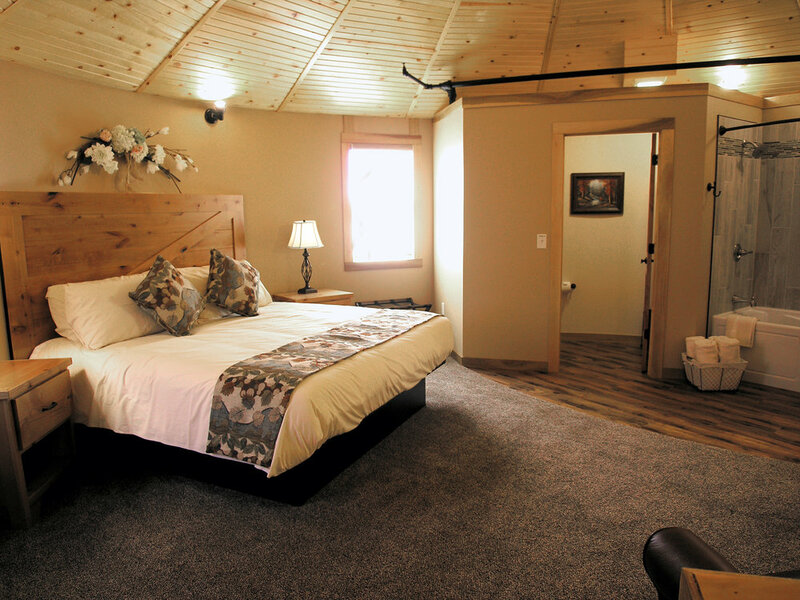 Located very near the Winery are a variety of other lodging options - click for more info.